There is quite a large demand for Life coaching services over the net. With families getting smaller and the pace of life getting faster, people are getting lost in day-to-day activities and losing perspective on the larger meaning of life. Life coaches have recently been helping fill in that gap. They provide group as well as individual level coaching sessions. To know whether there is the right chemistry between the Life Coach and the student, it’s best to provide a basic introduction of yourself, your background experiences and your coaching approach. A lot of the nuances of those messages will be transferred through body language. Which means that it’s important to have a video rather than plain text while introducing yourself. 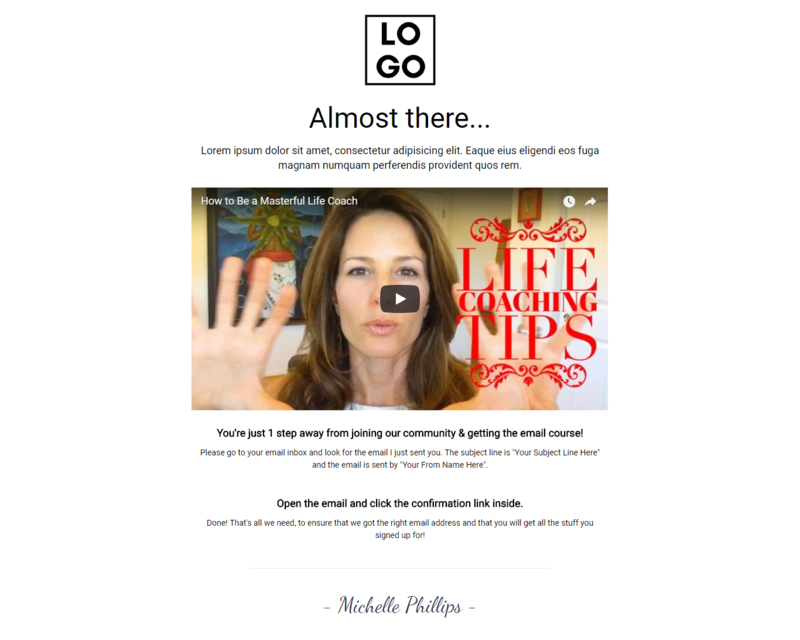 Use this video landing page template to get the right signups and registrations for your coaching services. A video tour real estate landing page template to accelerate lead generation for your company. Add videos tours of houses to get leads. A lead capture landing page template for chefs, cafes and restaurants. Edit the landing page elements in the builder as needed.